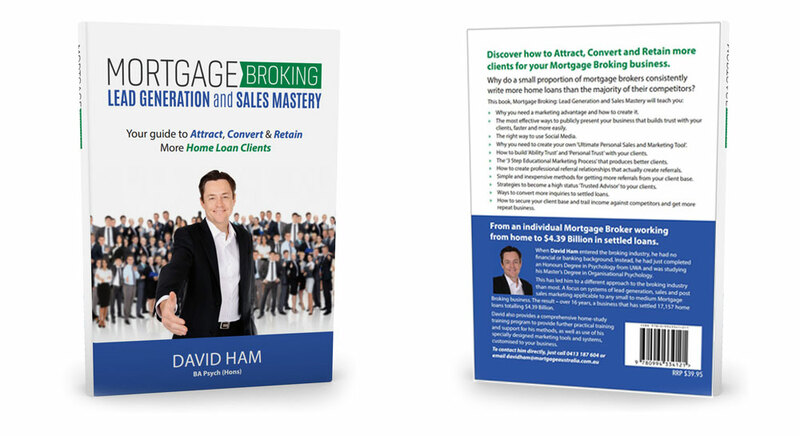 An Open Letter to all Mortgage Brokers from David Ham – Founder and Managing Director of the Mortgage Australia Group, AFG Hall of Fame Member, MFAA Certified Mentor and author of The 7 Easy Steps to Mortgage Freedom and Mortgage Broking: Lead Generation and Sales Mastery. Do you want the lifestyle of a successful, independent Broker? Most aggregators give you the tools to be a Mortgage Broker – software, licensing and access to lenders – but they don’t give you the systems to generate, convert and maintain clients. That is like being given the keys to a Ferrari without being able to refuel it when you need. Sure, it looks great, but it’s going nowhere fast. 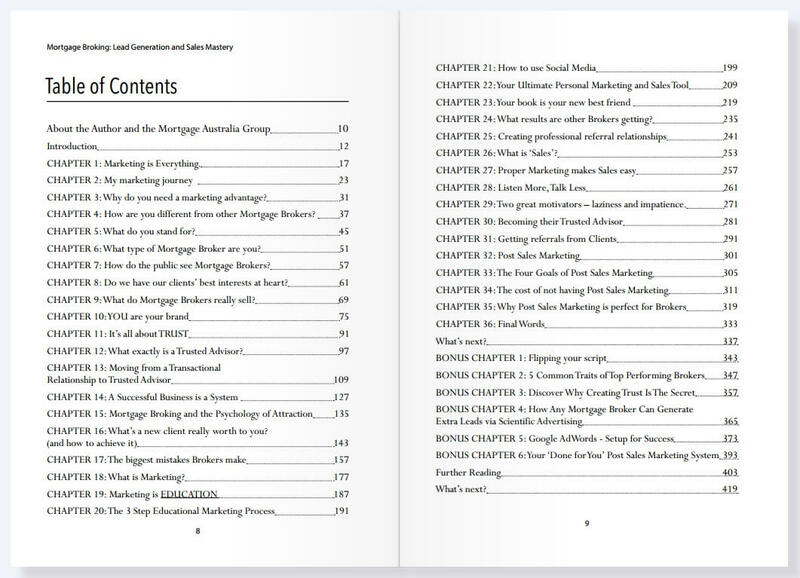 My company, the Mortgage Australia Group, specialises in providing these critical missing ingredients of resources, systems and training in sales and marketing that are discussed in my book, ‘Mortgage Broking: Lead Generation and Sales Mastery’, and beyond. Everything we do is with the goal of increasing the attraction, conversion and retention of clients for the Mortgage Brokers that joins us. This is achieved through providing ‘done for you’ sales, marketing and referral systems that Brokers can apply to their own businesses as well as education and training on these best practice mortgage sales and marketing methods – all without sacrificing commission rates. It’s all about promoting YOU as THE finance expert. Facebook, online and offline educational marketing tools and systems, automated and market-segmented follow-up systems, content marketing, your own unique version of ‘The 7 Easy Steps to Mortgage Freedom’ and more – all in your brand, all about you. That all means more clients for your business who see you as their trusted advisor. You don’t need to do it all by yourself. You don’t need to compromise your independence, commissions or aggregator support. As well as everything Mortgage Australia does for you, because we are members of AFG, you also get all the resources, size and security provided by Australia’s largest aggregator. You choose if you want to brand as Mortgage Australia or not and we don’t restrict how and where you work. Tap into the resources and systems we provide as you choose. 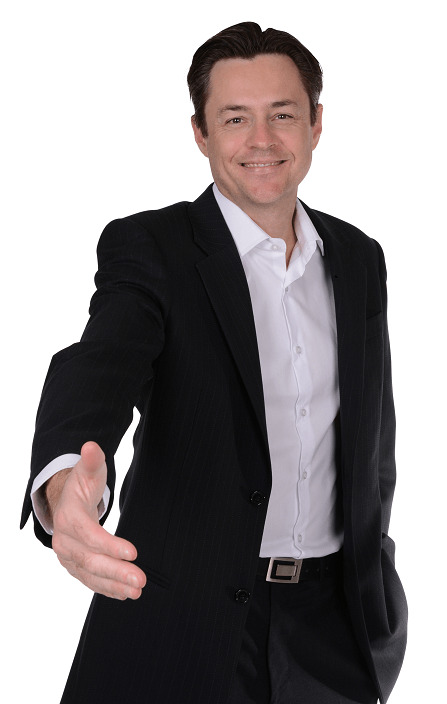 Feel free to contact me, for a discussion of what you want your Mortgage Broking business to be and the ways in which myself and the resources of the Mortgage Australia Group can make you more successful. And as a thankyou for speaking with me, I’ll mail you free copies of both of my books. I wrote this 420 page book as a guide to the brokers who might choose to join us and give them a solid grounding in the sales and marketing principles for building a sustainable business.